"Software you expect from a 30 year industry leader"
Designed to be used by a municipal store or utility company to control product inventories. It interfaces with Banyon Point of Sale for transaction entry. Uses Banyon POS software to scan barcodes and print receipt. Easily look up an item on transaction screen if problem scanning. Flexible set up with unit cost, markup, and shelf price. Show how much is on hand for items and set re-order point. Clearly displays MTD/YTD sold for item. Easily enter new stock from a vendor. Transfer from off sale to on sale. 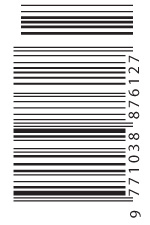 Print shelf labels or UPC labels. Easily set up discounts or sales to run on an item for specific date range. Balance cash drawer and run end of day reports. Revenue transferred to BDS fund accounting or summary report can be printed by account code to enter into non Banyon Accounting. For a free demo or pricing call 800-229-1130 or use the online contact form.